Living in Southern California we have access to some of the best food in the world. In-N-Out is no exception. On November 15th, we were ecstatic to host an In-N-Out team-building event at our headquarters here in Brea. We all had a blast working together to make a difference in the lives of children in foster care! Once everyone arrived, we thanked them for their continued dedication to corporate social responsibility and for their own personal investment of time into making a positive impact. All that speech-making and listening made everyone pretty hungry. Guess what we ate? In-N-Out hamburgers from the food truck before getting to work. 87 volunteers were there to participate in our Build-a-Bike, Build-a-Board, and Sweet Case charity projects. 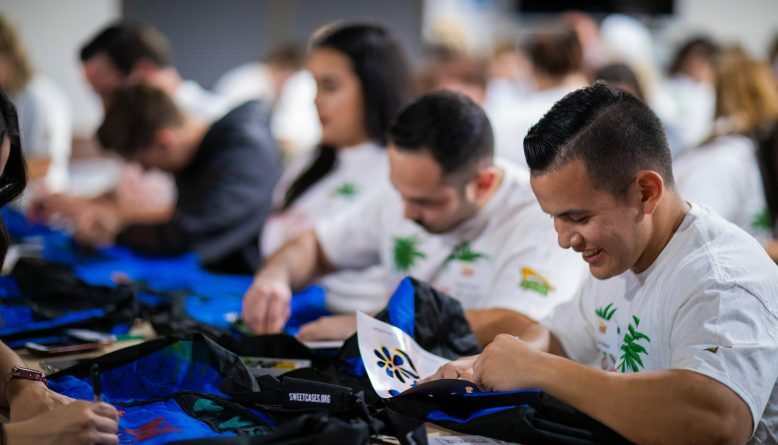 These team-building activities focused on assembling bikes, skateboards, and duffle bags. The duffle bags are for kids in foster care to help them transition from home to home. 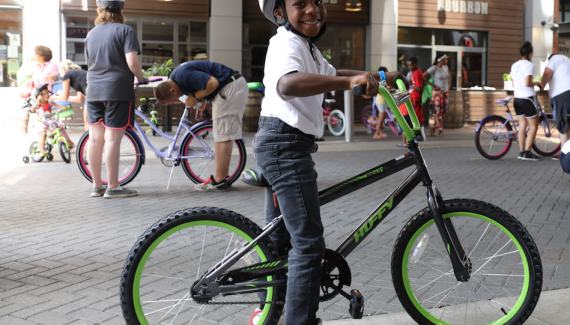 In total, we built 5 bikes, 5 skateboards and decorated over 150 Sweet Cases for kids in foster care! BurgerTV interviewed our executive director Gianna about the event. She gushed about how wonderful it was that so many people came together to give back to the foster youth in their community. We’re so glad that In-N-Out paid us a visit and we hope to see them again soon!